Series of lectures on “Bharathiya Samskruthiya Mulathathvagalu” by Shatavadhani Dr.R Ganesh available at our Audio Category. You can also Download it. This is the 1st of the 3 part series of lectures, still two more parts of the lectures on “Bharathiya Samskruthiya Mulathathvagalu” would be available in our Audio Category very soon. Dr. R. Ganesh was born on the 4th of December, 1962, in Kolar town of Karnataka. His parents were R.Shankar Narayan Aiyar and K.V.Alamelamma; his ancestors hailed from Devarayasamudram. His primary and middle school education was at Bangalore city and high school education in Gowribidanur. A graduate of Mechanical Engineering from the Vishweshwaraiah college of Engineering, Bangalore, Dr.Ganesh holds an M.Sc degree in Material Science and Metallurgy from the well-known Indian Institute of Science in Bangalore. He also holds a Mastersâ€™ in Sanskrit from the Mysore University. From the young age of ten, Dr.Ganesh cultivated a passion for literature and studied in detail the great works of ancient poets in Sanskrit and Kannada. By the age of Sixteen, he blossomed into a poet of high merit, introducing the classicalities of Meter, Rhyme, Grammatical precision and traditionality into his style. He also mastered the unique art of â€˜Ashukavitvaâ€™- a style of reciting poems â€˜extemporeâ€™ on any given topic. Detailed and deep study of the various branches of Indian literature, arts and poetics further enriched his inherent talent and style. At the age of Nineteen, he incidentally witnessed a session of Sanskrit Avadhana, which inspired him to try the art himself. This was a landmark not only in his life, but also in the history of â€˜Avadhanaâ€™. The very next day, amongst a group of friends, he successfully ventured to perform a complete â€˜Ashtavadhanaâ€™ ! This was his glorious entry into the field; he set out to perform hundreds of such Avadhanas, capturing the hearts and admiration of the public. Ever since, he has been a perennial source of entertainment, fascination and pride to lovers of art and literature. The first formal public Avadhana of Dr.Ganesh was held at Kolar. Incidentally, his Hundredth and Two Hundredth Avadhanas were also held there. So far he has successfully accomplished more than 400 Ashtavadhanas and three Shatavadhanas on various prestigious platforms at the state and national levels. He has also performed in the American and European continents, giving the world a taste of Indian brilliance and talent. For Dr.Ganesh, Avadhana has never been merely an occupation or passion, but verily a sacred penance; each feat of â€˜Avadhanaâ€™ is a sacred worship where the onlookers are the Gods themselves, whom he wishes to appease. His devotion and dignified attitude has added special charm and sophistication to his performances. His vast knowledge, experience, extraordinary talent, wit and wisdom amazes the audience. There are usually Eight parts in an Ashtavadhana and some extra ones are added according to the performersâ€™ capabilities, the number sometimes soaring to 10, 13, 100 or even 1000 ! The parts of Avadhana of Dr.Ganesh are many and varied â€“ Classical Poetry, Extempore (Atyaashudhaara), scholastic discussions of various scriptures, arts and sciences, vivid commentaries are a few additions alongside the usual parts of Ashtavadhana. His performances are marked with a wonderful sense of timing, healthy humour and interesting discussions. Dr.Ganesh is one of the very few Avadhanis who is extremely innovative adding new dimensions and aspects into his Avadhanas time and again. Thus the list of parts in his Avadhanas grow on. â€˜Chitra Kavithaâ€™ is one of the toughest and most challenging forms of Indian classical poetry, which has never been dared before in any Avadhana. Dr.Ganesh is the one and only Avadhani to have performed this, that too extempore, on stage in his Avadhanas ! This single feat perhaps explains his genius and mastery over the art. Dr.Ganesh preforms complete â€˜Avadhanaâ€™ not only in Kannada but also in Sanskrit and Telugu and is rightly known as â€˜Tribhashavadhaniâ€™. He is also an â€˜Ashtabhashavadhaniâ€™, and can manage the programme in eight languages simultaneously ! Some of his Avadhanas are sometimes based on single topics, such as â€˜Ramayanavadhanaâ€™. â€˜Rashtravadhanaâ€™, which he performed for the Kargil martyrs was a unique tribute to the war heroes and greatly inspired patriotic sentiments among the listeners. Dr.Ganesh has been the first and only â€˜Shatavadhaniâ€™ of Karnataka. 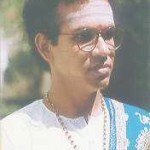 He created a record in 1991 by performing a complete â€˜Shatavadhanaâ€™ in a single day, which in normal course would take 3-4 days. He achieved it composing 108 classic pieces of poetry and in eight languages ! This was indeed an unheard of glorious adventure in the intellectual world. He has also dared to perform the â€˜Ashtavadhanaâ€™ within half an hour ! Another landmark in the field of Avadhana is his â€˜Yugalavadhanaâ€™ performance â€“ a simultaneous â€˜Avadhanaâ€™ in both Sanskrit and Kannada languages ! Dr.Ganesh has not only mastered Sanskrit, Kannada, Telugu and English languages, but is also proficient in Prakrit, Pali, Tamil, Hindi and Marathi. Ancient languages of Greek, Latin and Italian have added to the treasure of his knowledge. He has to his credit the study and knowledge of Greek Literature in its original textual form. Dr.Ganesh has a deep and intimate knowledge of various forms of Indian classical music, dance, sculpture, paintings and other fine arts. His views and commentaries on these subjects are rich with deep introspective wisdom and unfold valuable information and ideas to performing artists and lovers of art. He is well versed in various subjects like prosody (ChandasShastra-to do with the Meter form), poetics (KavyaShastra), Veda, Vedantic scriptures, DharmaShastras, History, Aesthetics, Grammar, Physics, Biology, Chemistry, Technology etc. to name a few. His knowledge of past and current affairs in various fields is indeed commendable. Research and innovation are two fields where his contributions are everlasting. His masterely thesis on the art of Avadhana in Kannada has been honoured with a D.Litt by the Hampi University of Karnataka. All praise for this great work, Mahamahopadhyaya N.Ranganatha Sharma exclaimed â€“ â€˜This is a priceless contribution to Kannada Literatureâ€™. Applauding his knowledge and mastery over prosody, the great scholar Sediyapu Krishna Bhatta said â€“ â€œDr.Ganesh is the only poet who has understood my prosody (Chandas) to its depthsâ€. This goes to say how difficult it is to find a poet, who in these days has mastered the charm and substance of Prosody like Dr. Ganesh has. Dr.Ganeshâ€™s knowledge of Aesthetics (Alankara Shastra) is extraordinarily vast. Complimenting one of his masterly essays on Alankaras, Dr.K.Krishnamurthy, a scholar of international repute exclaimed-â€This single essay itself deserves a doctorate degree !â€. Another great scholar opined of Dr.Ganeshâ€™s genius thus-â€With half the intelligence of Dr.Ganesh, I would have perhaps ruled over the intellectual world of the whole of South India !â€. Dr.Ganesh has presented hundreds of research papers and his valuable views on various subjects in Sanskrit, English and Kannada languages in prestigious National and International seminars. His lectures and writings have impressed and educated all classes of people; he has been successfully pioneering the spread of knowledge and culture. Logical precision, clarity of subject, intuitive wisdom, vast knowledge of various subjects, comprehendable and practical illustrations and examples, extremely attaractive oratory are some significant features of his masterely presentations. Other than these, he has composed about 16 Kaavyas in Sanskrit, 12 Roopakas and a large number of poems and songs in various languages. Some of his other commendable works are : Kumaaraniruddha Parinaya (a Dwisandhana Kaavya) and seven other Kaavyas, 4 novels, several stories, essays and articles on various topics. Many of these have been featured in journals, monthlies, newspapers and magazines. Majesty and sweetness go in harmony in his inimitable style of prose, which is an excellent blend of Sanskrit and Kannada languages. His research-orientation, deep study and vast knowledge are evident from the numerous referential sources and illustrations that bedeck his literary works. â€˜Kavya-Chitraâ€™, a unique show of parallel arts, which Dr.Ganesh has masterminded and performs with the world reknowned painter Shri. B.K.S.Verma, is one of the latest jewels in his crown. This superb feat of â€˜on the spot poetry and paintingâ€™ has won great admiration from thousands of people not only within the state and nation, but allover the world. â€˜Nirantara Kaavya Chitraâ€™ (non-stop Poetry-Painting) â€“ one such combined feat of Dr.Ganesh and Verma which was held non-stop for 24 hours in the Rashtrothana Parishat in Bangalore (1997) is a record in itself. During this eventful feat, a fascinating chain of 181-poems extempore, by Dr.Ganesh, left the audience spellbound. â€˜Kaavya-Chitraâ€™ was performed in the Vishwa Kannada Sammelana at Houston in America, in the year 2000, which captured the imagination and appreciation of people. At around the same time 20 such performances were given in various parts of America and also in England. Dr.Ganesh has a number of compositions like Suprabhatas, Stotras and songs on various deities. Leading artists have sung these in cassettes which have been extremely popular. Cassettes containing his narrations on Soundaryalahari, Harishchandra Kavya, Mankutimmana Kagga, Subhashitas etc. have also been well received. He has composed exclusive dance and musical lyrics which are being adapted by performing artists. He is also a modern â€˜Vaaggeyakaraâ€™ (Music composer) who has composed quality pieces like Tillanas, Padas, Kritis, Ragamaalika Kritis etc. â€˜Bhaminiâ€™, a unique dance show based on the Ashtanaayikas (Eight dancers) theme of classical dance, is one of his creations which is rendered in the â€˜Yakshaganaâ€™ style. This has commanded great appreciation and is considered a landmark in the history of â€˜Yakshaganaâ€™. â€˜Krishnaarpanamâ€™ is one of his latest such additions to â€˜Yakshaganaâ€™ which deals with the divine love and relationship of the different women appearing in Shri Krishnaâ€™s life. Dr.Ganesh has himself participated and performed in some Yakshagana shows. Dr.Ganesh has taught in the Ramaiah and R.V.College of Engineering. He has also served as the Director of Sanskrit Department in the Bharatiya Vidya Bhavana, Bangalore. He is presently working with the Jain International Residential School in Bangalore. He is the Director of â€˜Naimishaâ€™ Research and Foundation and also Chief Editor and guide of the â€˜Abhijnanaâ€™ publications. His natural talent, learning, simplicity and nobility have won Dr.Ganesh a number of admirers. A great many number of institutions and groups have recognised, honoured and felicitated him and showered him with titles, praises, accolades and citations. 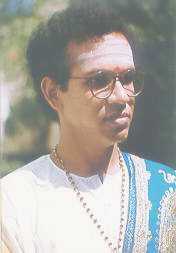 â€˜Avilamba Saraswathiâ€™, â€˜Purusha Saraswathiâ€™, â€˜Kavyakanthaâ€™ etc. are some of the prestigious titles conferred on him. In recognition of his valuable contribution to the field of Sanskrit, Aradhana and poetry, Government of Karnataka conferred on him the â€˜Rajyotsava Prashasthiâ€™ (State Award) for the year 1992. The Kolar Jilla Sahitya Parishat has conferred on him the â€˜Best Sahitiâ€™ of the year award. A versatile scholar, Avadhani par excellence, poet, excellent orator and many more, Shatavadhani Dr.R.Ganesh is a Literary Wizard, a precious treasure Mother India can be proud of. (Two are the paths of the Goddess of learning â€“ Knowledge and Poetry. The former owes its birth to intelligence while the latter emerges effortlessly from talent inherent). Dr.Ganesh who is gifted with both these attributes is verily the blessed son of Goddess Saraswathi. The credit of reviving the ancient art of â€˜Avadhanaâ€™ in Kannada language goes to Shatavadhani Dr.R.Ganesh. The art of â€˜Avadhanaâ€™ is unique not only among the arts of India but also of the whole world. Though Sanskrit language is the mother of this ancient art which requires the highest degree of retention and poetic genius, it was in the caring hands of Kannada and Telugu languages that this greatest of arts, which is a majestic confluence of talent, word-power, scholasticity, hardwork, entertainment and education, was cradled and nourished into its present modified and attractive form. Kannada, in particular, shares a special bond with this art. Inspite of such closeness, this art form almost vanished from the scene of Karnataka in the 20th Century. It was in the year 1981 that this glorious art reappeared on the scene. This time, it was not merely a golden ray of hope, but a major comeback of the forgetten art, which soon blossomed afresh and gradually grew up into a mighty tree assuring shelter and guidance to the future aspirers. Dr.R.Ganesh, popularly known as â€˜Shatavadhaniâ€™ created history by reviving, nourishing and re-establishing this art in all its glory. He further unfolded the greater potentials of the art and popularized it immensely in Karnataka. â€˜Avadhanaâ€™ literally means â€˜perfect concentrationâ€™ and uninterrupted contemplation on a particular subject. The â€˜art of Avadhanaâ€™ includes accomplishing many a challenging intellectual feat simultaneously with great confidence and sportive zeal. â€˜Avadhanaâ€™ not only thoroughly entertains but also thrills the audience. The seemingly superhuman capacity of the â€˜Avadhaniâ€™ (the one who performs) fascinates the audience giving an interesting insight into the unlimited potentials of the literary world. The whole art in itself is much more than mere entertainment; it is rather educative revealing the various aspects of word-power, poetry, retention, wit and powers of the intellect. Alongside the beauty and charm of language and rhyme unfolded at each step of the Avadhana, are values and philosophy presented with dignity and grace. Avadhana on the whole is a tonic for the brain, entertainment to the mind, bliss and contentment to the heart and enlightenment to life. Thanks to the genius and dedicated efforts of Shatavadhani Dr.R.Ganesh, this unique art has seen its rebirth in the Kannada literary field. A shloka in â€˜Kaavyakautuka of Bhatta Thauthaâ€™ says :(Two are the paths of the Goddess of learning â€“ Knowledge and Poetry. The former owes its birth to intelligence while the latter emerges effortlessly from talent inherent).Dr.Ganesh who is gifted with both these attributes is verily the blessed son of Goddess Saraswathi. Shathavadhani Dr.R.Ganesh is man of vast knowledge and a deeply dedicated person who is performing Avadhanas with ease.This is because of his Hard work,extreme love towards literature ,Indian Culture ,Arts and Music.I think he loves India deeply.This makes him to perform the Avadhanas on any topic with tremendous ease.Its not only talent,deep knowledge or hard work and great memory.Its some what entirely different from all of these and the power hidden within him is inexplicable and only Goddess Saraswathi knows it.He is simply Kavirathna Saraswathi Daasa. Dear sir Im enamored and extremely thrilled and have a series of scintillating horripilation to find this article or Sriyuta Dr. R Ganesh I was foolish enough not to have maintained contact with the master despite having being his student in a random lecture in MES College Bangalore once in Year 2000. I request to give me light and mail me sir’s email and contacts. I request you earnestly to guide me back to God head = my teacher. Dear sir Im enamored and extremely thrilled and have a series of scintillating horripilation to find this article or Sriyuta Dr. R Ganesh I was foolish enough not to have maintained contact with the master despite having being his student in a random lecture in MES College Bangalore once in Year 2000. I request to give me light and mail me sirâ€™s email and contacts. Dear Sir,As Kannadigas,We must be Proud that a person like Dr.R.Ganaesh has adeep Knowledge of performing AVADHANAS with profound ease.All this because of sense of application any field he likes to dwelt with such prcision.I make it a point on Every Hindu festivity day to listen to the importance & esence of its practice in our custom-that has been followed from time immemorial–on Chandana vahini of doorDarshan.He is our great Treasure indeed.Every technocrat must read & practice his Success.He is our Gems of WISDOM. I am very glad know about the Avadhani Dr Ganesh.